I know you all have heard the saying “Teach a Man to Fish, and you feed him for a lifetime. Give a main a Fish, and you feed him for one Meal”. This post is hopefully going to help you eat for many meals. 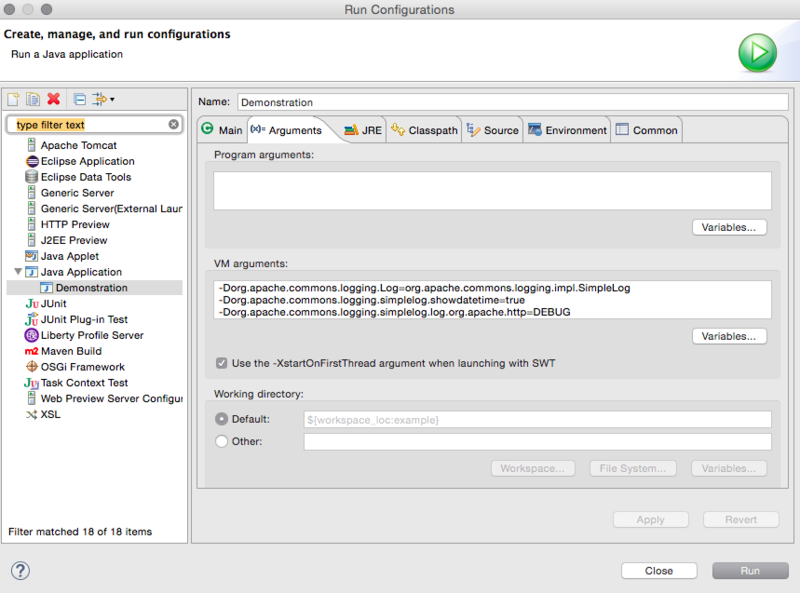 The topic of this post is to uncover how we make the REST requests in the IBM Social Business Toolkit SDK, and show you how to do some advanced debugging in the IBM Social Business Toolkit SDK. I am going to do so using only one addition to the running Java Code, and based on the Apache Http Client Logging. That’s what the code is getting back from the Server, but I want to know what’s actually being requested. If you want to dig into more and want more debugging, you can change the debug strings. I tend to use this particular string when debugging, be sure to turn it off when you are in production (it’s super chatty). You can also do this with Maven projects. You should review your Maven build, or change your run settings or test settings to reflect the custom JVM parameters. Also, you can do this in WebSphere Application Server, however you risk getting extra noise from other Applications or Ajax Proxies. I hope this helps you all during debugging. For those that need to set the logging values for Apache Tomcat (across the board), add “org.apache.http.level = FINEST” to the end of the conf\logging.properties file. You need to restart Tomcat, and then look at the catalina.out file.